So if you're a driver in nearby Mukilteo, give our Toyota dealer a call at (425) 595-5509 to learn more about the professional engine air filter inspections and replacements we offer! Mill Creek, Washington motorists can book an engine air filter appointment right here on our interactive website, thanks to the service scheduling form we've made available. Engine air filter replacements ensure the interior components of your engine are protected. Filters work to stop contaminants from entering the more delicate parts of your vehicle, and thus, help maintain its fuel efficiency while promoting an overall healthy lifespan. 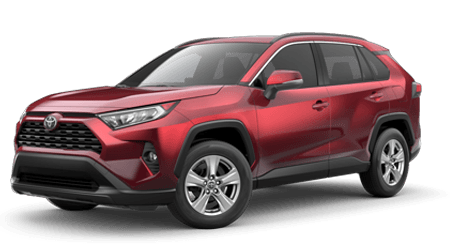 Our new and used Toyota dealership in Everett, WA is able to complete engine air filter work on many different vehicle brands, so don't hesitate to book a service no matter the brand of vehicle you currently own; Rodland Toyota is here to help! When you arrive for your scheduled maintenance service, the team member assisting you will carefully inspect your car's engine air filter to see if a replacement is needed. If your vehicle would benefit from a fresh filter, we'll present you with a detailed service estimate as well as an array of affordable, genuine filters to choose from. Our professionals will then get your chosen filter installed, update our dealer's service records and get you back on the road. For all your engine air filter needs, Rodland Toyota in Everett, WA is here for you!